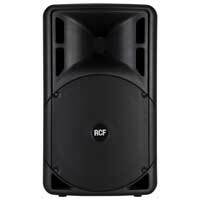 RCF have been a world leader in audio design and speaker technology for over 60 years. 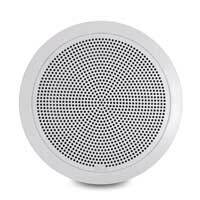 Their speaker systems have started market trends and created completely new sectors through their dedication to constant research and developement from their home in Italy. When you choose RCF you are buying into a heritage and level of quality that is unrivalled in the industry. The speaker systems offered today are the end result of decades of testing, both on the benches of the factory laboratories and from on the road feedback from users, so represent the culmination of both whats technically possible yet practical and functional in real world usage. 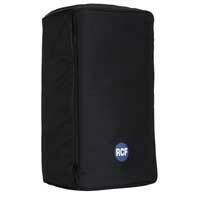 RCF innovation and research has led to the invention of their advanced transducer and loudspeaker technologies that have found their way into OEM products all over the world. Their groundbreaking designs have been borrowed, copied, cloned and stolen over the years, and have influenced whole generations of passive and active sound system design from budget to high end. 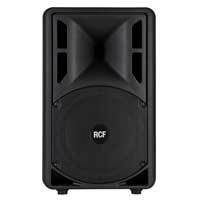 RCF Speakers include design features such as (depending on model) speaker systems and components are some of the very finest available at any price point. From the multi award winning ART series of Active speakers, to the installation D-Line and 4PRO speakers, up to its touring Line Array systems and Mixing Controllers. Classic design and function from the award winning Art 3 models, now in its 4th generation of refinement. 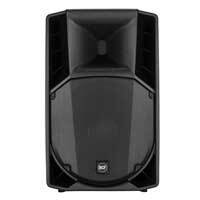 High power 2-Way design, aimed at vocal monitoring, live sound reinforcement and installed sound systems. The Art 7 series, also in its 4th generation, is the bigger brother to the Art 3, offering higher wattage and spl figures and advanced materials in its drivers for amazing power and definition to its sound. Favourites of live bands, front of house monitoring and stage venues, the 7 series sets the standard for Active PA Speakers. RCF have a comprehensive selection of studio and live use mixing desks available in various channel and design specifications. 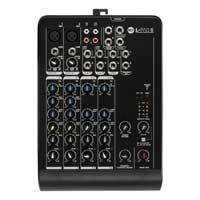 The Reference quality analog E-Series is now joined by the fantastic F-Series with digital routing and DSP effects, and the latest L-Pad desktop units with their unique expansion slots for a range of plug in cards.Also an industry first upon release, the M18 all digital WiFi mixer with full control utilising the custom Android/Apple app with multiple user connections and built in studio effects for guitar and bass users. For extreme performance in a modern live environment the HDL series of active PA cabs and Line Array sytems are designed for the touring and rental market, with heavy duty but lightweight enclosures and high SPL capability. For smaller venues and versatile placement, the NX series provides its unique upright column array designs that can be flown or ground placed, with focussed dispersion for a defined area. Designed specifically for musicians and live music performance, the 4PRO range offers Active 2-Way speakers with the emphasis on sound definition and flat response. Complimenting all speakers in the RCF catalogue are the powerful units in the SUB Series, with inbuilt crossovers and frequency adjust for ease of integration and immense SPL output, these single driver Subwoofers deliver the goods. For large stage or installation users, the rannge expands into the dual driver systems, with the range topping 9007-AS featuring two 21" neodymium woofers and a huge 141dB SPL rating.